This week TRENDFOCUS co-sponsored The Enterprise Storage Conference in Beijing. Other sponsors included Dell, VMWare, Lenovo, Nutanix, Huawei, HGST, Kaminario, Alibaba, Intel, Tencent and more than 40 other Chinese and global data storage companies. Approximately 400 industry people attended a multi-track agenda that focused on hyperscale/data center architectures, software defined storage, super fusion technology, and data security. 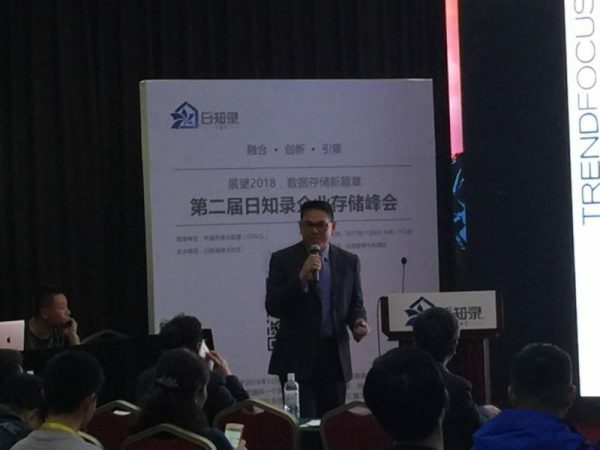 The feeling was that of data storage conferences in the US from a few years ago – scores of start-ups and hopefuls springing up with products, technologies and services to support the burgeoning data center market in China. 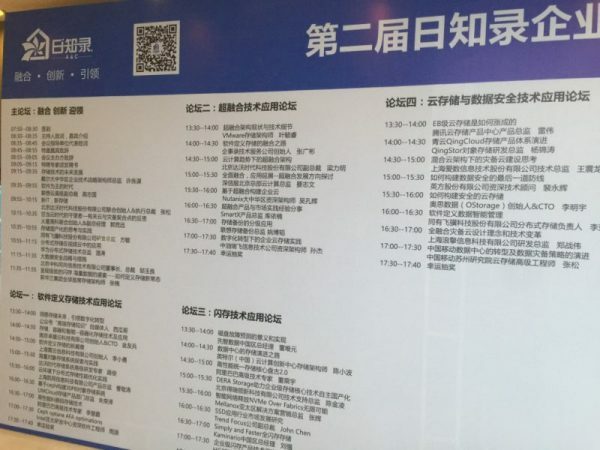 While many topics, such as disaster recovery, flexible management and acceleration of storage drew direct parallels with data center concerns around the globe, the conference focused on many China-specific interests, including the fostering domestically developed solutions instead of relying on traditional Western OEMs. Our own John Chen, Vice President and Lead Analyst in cloud, hyperscale, and enterprise storage research, made a great, well-regarded presentation on future utilization trends for SSDs and HDDs in the enterprise, highlighting the acceleration of storage demand driven by the growth of the cloud. Please feel free to contact us for copies of the presentation or to discuss the event. This entry was posted in TRENDFOCUS Blog, Uncategorized and tagged Enterprise, HDD. Bookmark the permalink.